Bob Newhart is an American comedian, actor, and writer. He rose to fame as a stand-up comedian and starred in various sitcoms most notably the classic, The Bob Newhart Show. Newhart is known for his dry wit, observational humor, and intentional stammer and is one of the most beloved figures in the history of American comedy. Find out here, more about him including his bio, career, personal life and whether he is still alive or dead? George Robert Newhart was born on the 5th of September 1929 in Oak Park, Illinois. His father, George David Newhart, was the co-owner of a plumbing and heating business while his mom, Julia Pauline was a housewife. He had three sisters: Virginia, Mary Joan, and Pauline. The Newhart family were Roman Catholics of Irish, German and English ancestry. The young Newhart had his primary education at St. Catherine of Siena Grammar School and high school education at St. Ignatius College Prep. He thereafter studied accounting at Loyola University in Chicago, graduating in 1952. Upon graduation, Bob Newhart worked as a clerk for the US Army during the Korean War. His stint in the Army came to an end after two years and he thereafter worked for various companies as a bookkeeper. By 1958, Bob Newhart was working as a copywriter for an indie film and production company. In order to deal with the monotonous nature of his office work, he and a co-worker resorted to engaging in humorous telephone conversations. After a while, they started recording them and sending them to radio stations. They only achieved a small measure of success but this was just the beginning of greater things for Newhart. The tapes caught the attention of a local DJ who at once spotted Newhart’s talent. The DJ, Dan Sorkin, gave him airtime for short monologues and helped him land a contract with Warner Brothers in 1959. Newhart did not rest on his oars and by 1960, he released his first comedy album, The Button-Down Mind of Bob Newhart. The album mostly involved dramatic one-sided phone conversations in which he implied what the caller on the other side was saying. To say that the album was a success is an understatement. The album topped the Billboard album chart (the first comedy album to attain that height) and reached number 2 on the UK album chart. It also won Newhart, a Grammy for best album (the very first time a comedy album would achieve such feat) and the Grammy for best new artiste in 1961. Newhart followed it up with two more equally successful albums, The Button-Down Mind Strikes Back! (1960) and Behind the Button-Down Mind of Bob Newhart (1961). The former won him the 1961 Grammy for best comedy performance – spoken word. From comedy, Bob Newhart diversified into the world of television. His first show was the 1961 NBC show, The Bob Newhart Show. Even though the sitcom scored some award nominations, it was canceled after one season. Following the demise of the show, Newhart continued his comedy gigs and appeared on various comedy shows. In 1972, Newhart debuted his most enduring legacy, The Bob Newhart Show. In the sitcom, he played the role of an ordinary psychologist, Dr. Robert Hartley, who had to deal with a bunch of colorful characters. The show ran for six seasons on CBS and came to an end in 1978. The series was loved and made a tremendous impact on television and comedy in the US. It was nominated for various awards and in 2013, TV Guide ranked it #49 on its list of the 60 Best Series of All Time. The comedian also created and took part in other sitcoms including Newhart (1982 – 1990), Bob (1992–93) and George & Leo (1997–98). Asides from his own sitcoms, the Chicago native also appeared in other TV series as well as some movies. They include The Simpsons, NCIS, Desperate Housewives, and The Big Bang Theory. His movie credits include Hell is for Heroes (1962), First Family (1980), Elf (2003) and Horrible Bosses (2011). Bob Newhart received nine Emmy nominations but only won one, the 2013 Emmy Award for Outstanding Guest Actor in a Comedy Series for his portrayal of Professor Proton in The Big Bang Theory. He has also received other honors including a star on the Hollywood Walk of Fame in January 1999. He was inducted into the Academy of Television Arts and Sciences’ Hall of Fame in 1993 and was also inducted into the National Association of Broadcasters Broadcasting Hall of Fame in 2009. In October 2002, the comic received the Mark Twain Prize for American Humor. Similarly, in October 2012, his alma mater, Loyola University Chicago, honored him by naming their new theatre, the Newhart Family Theatre. There is also a life-sized statue depicting Dr. Robert Hartley from The Bob Newhart Show. The bronze statue is permanently located in the sculpture park in front of Chicago’s Navy Pier entertainment complex. 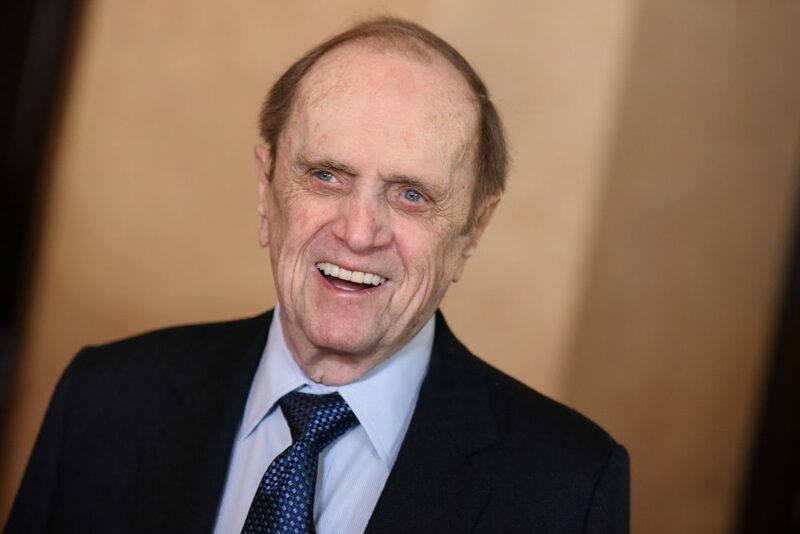 Bob Newhart is still very much alive and active even though he has had a few health challenges. For instance, in 1985, he was rushed to the hospital as a result of secondary Polycythemia. The disease was brought on due to his heavy smoking. He, however, made a full recovery and has since quit smoking. The comic is not just alive but is still doing what he loves best. In July 2018, he released a new audio series on Amazon titled Hi Bob. It features funny and informative chats with the likes of Will Farrell, Lisa Kudrow, Jimmy Kimmel, Sarah Silverman, Conan O’Brien etc. Newhart is also set to reprise his guest role of Professor Proton in the 12th and final season of the Big Bang Theory. Who is The Wife – Ginny Newhart? 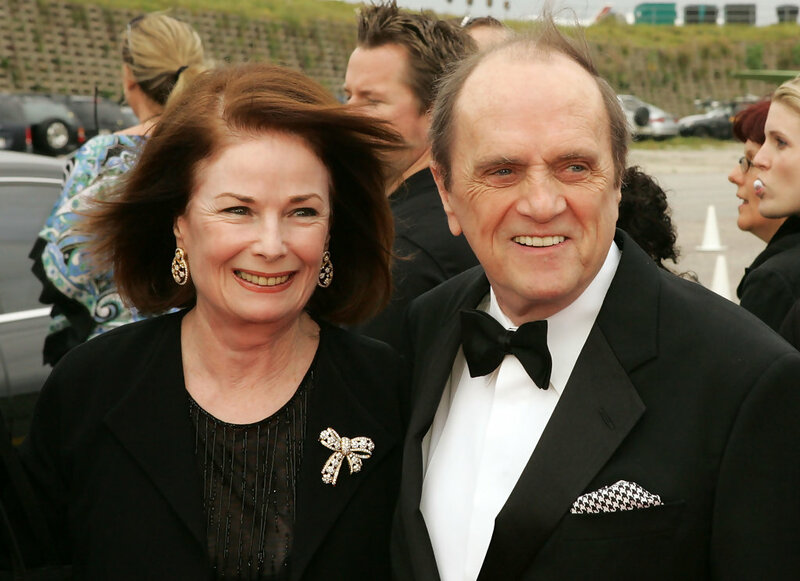 Bob Newhart is married to Virginia “Ginny” Newhart nee Quinn. They got married in January 1963 and have been together ever since then. They have four children (Robert, Timothy, Jennifer, and Courtney), and ten grandchildren. Virginia is the daughter of the late American actor Bill Quinn. Her dad took part in TV series such as The Odd Couple, All in the Family, Archie Bunker’s Place, The Mary Tyler Moore Show, The Rifleman, McHale’s Navy, Star Trek V: The Final Frontier. Bob Newhart is reportedly worth $65 million. He made his wealth from his successful comedy album sales, the several movies and TV shows he appeared in as well as his iconic sitcoms such as The Bob Newhart Show.